West Ham United and Stoke City meet at Olympic Stadium, in a match for the 34th round of the Premier League. 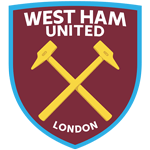 West Ham United got an away win by (0‑3), in the last league head‑to‑head, played in 16‑12‑2017. The head‑to‑head record between these two teams couldn't be more balanced, since there were 5 draws and 1 win for each team in the last 7 head‑to‑heads. Both teams register significant differences between home and away results, so the home/away factor is worth atention. The home team is currently in the 14th position of the league, with 34 points won, after 8 wins, 10 draws and 14 losses. In the penultimate match, they won in a home match against Southampton, by (3‑0). In the last match, they tied in an away match against Chelsea, by (1‑1). This is a team that usually makes good use of the home advantage, stronger with the help of its supporters, since in the last 30 matches they register 2 wins, 5 draws and 8 losses in away matches, with 18 goals scored and 30 conceded; against 5 wins, 5 draws and 5 losses at their stadium, with 17 goals scored and 20 conceded. In the last 10 home league matches West Ham United has a record of 4 wins, 4 draws and 2 losses, so they have won 16 points out of 30 possible. They haven't been very strong defensively, since they have suffered goals in 8 of the last 10 matches, but their offense has scored frequently, since they have scored goals in 9 of the last 10 matches for this competition. They have conceded the first goal in 17 of their 32 matches for this competition, and have only turned the score around in 1. West Ham continues to go through a lot of difficulties this season and in the last match they drew by 1-1 against Chelsea. It’s important to emphasize that the main objective of the home team will be to ensure maintenance in the English first division. In this home match, the coach David Moyes should play in 3-4-2-1 privileging ball possession and positioning attacks: Noble is the team's conductor, responsible for organizing and creating the offensive process. On the other hand, Marko Arnautovic is the top scorer of West Ham with 9 scored goals. For this match, the coach won’t count on Obiang, Reid, Byram, Carroll and Antonio, all injured. Confirmed Lineup: J. Hart, A. Ogbonna, P. Zabaleta, A. Masuaku, A. Cresswell, D. Rice, E. Fernandes, M. Noble, João Mário, C. Kouyaté, M. Arnautović. The away team is currently in the 19th position of the league, with 27 points won, after 6 wins, 9 draws and 18 losses. In the penultimate match, they lost in an away match against Arsenal, by (3‑0). In the last match, they lost in a home match against Tottenham Hotspur, by (1‑2). This is a team that usually makes good use of the home advantage, stronger with the help of its supporters, since in the last 30 matches they register 1 win, 4 draws and 10 losses in away matches, with 11 goals scored and 36 conceded; against 4 wins, 3 draws and 8 losses at their stadium, with 15 goals scored and 25 conceded. 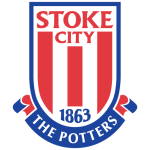 In the last 10 away league matches Stoke City has a record of 3 draws and 7 losses, so they have won 3 points out of 30 possible. In this competition, they haven’t won any of the last 11 away matches. Defensive consistency hasn’t been their best feature, as they have conceded goals in 7 of the last 10 matches for this competition. In 33 matches for this competition, they have conceded the first goal 21 times and have only turned the score around in 1. Slightly in the image of their opponent, the visiting team is going through a difficult time of the season and currently occupies the last positions of the league table. It’s worth noting that the visiting team added a home defeat against Tottenham by 1-2. In this away match, the coach Paul Lambert must step up with a more cautious strategy, exploiting only the counterattack: Sobhi is a very competent player in the offensive transition. On the other hand, Xherdan Shaqiri is the best scorer of Stoke with 7 scored goals. For this match, the coach won’t count on Charlie Adam, punished, neither on Choupo-Moting and Grant, these injured. Confirmed Lineup: J. Butland, K. Zouma, M. Bauer, R. Shawcross, E. Pieters, B. Martins Indi, Badou N'Diaye, Ramadan Sobhi, J. Allen, M. Diouf, X. Shaqiri. This match has some tendency to be balanced, as West Ham plays with the support of their fans and Stoke City needs to add up the three points. In this way, and despite the pressure on both sides, we believe that they’ll provide a very open match with several situations of real danger. So, and also taking into account the playing styles of the two teams, betting in favor of the goals in this match is an excellent option. Market Bookings Odds Both teams to Score? First Half Goals 0.5 First Half Goals 1.5 Half Time Half With Most Goals Match Odds Odd or Even Over/Under 0.5 Goals Over/Under 1.5 Goals Over/Under 2.5 goals Over/Under 3.5 Goals Over/Under 4.5 Goals Penalty Taken?